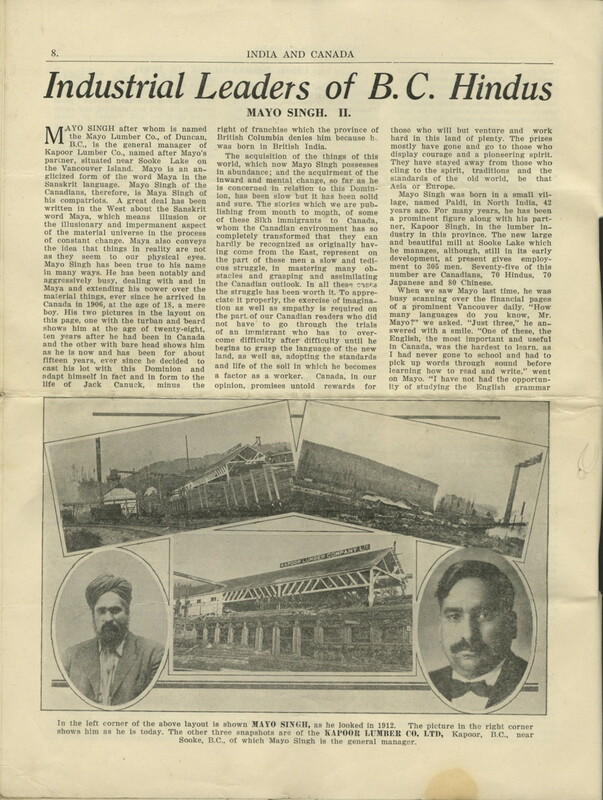 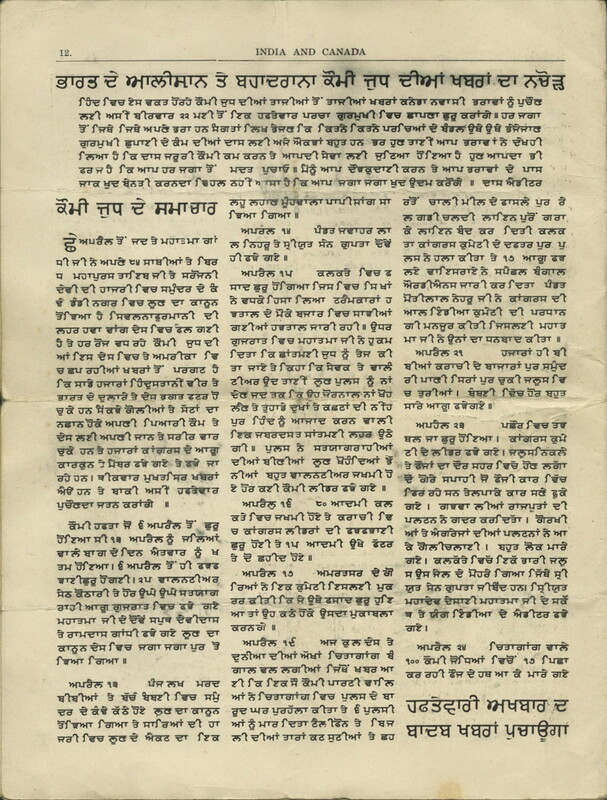 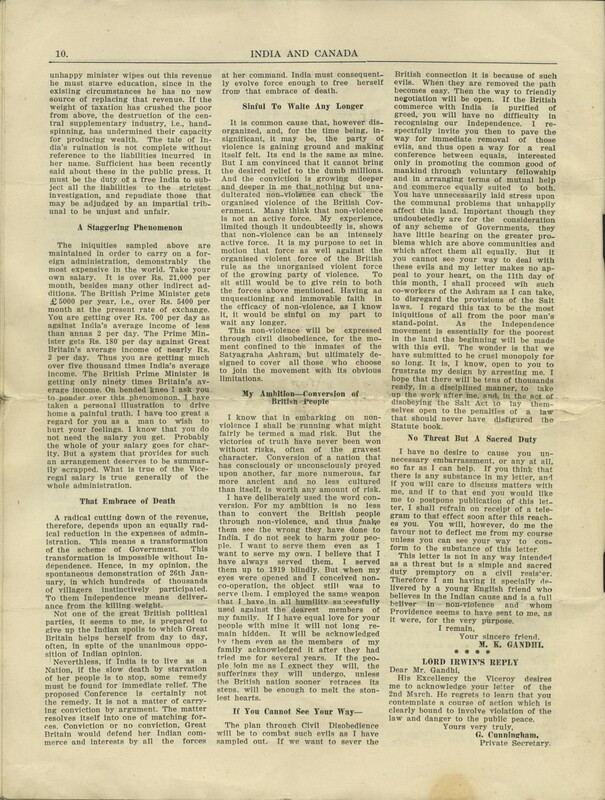 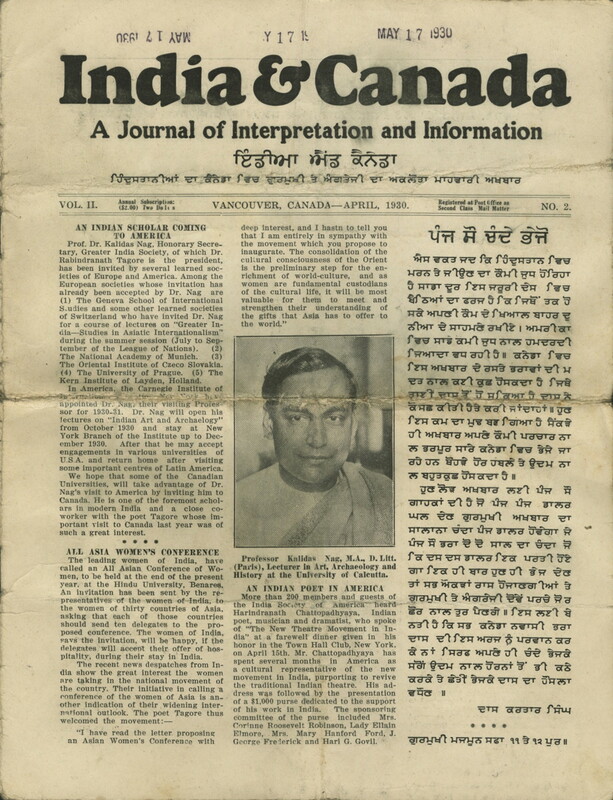 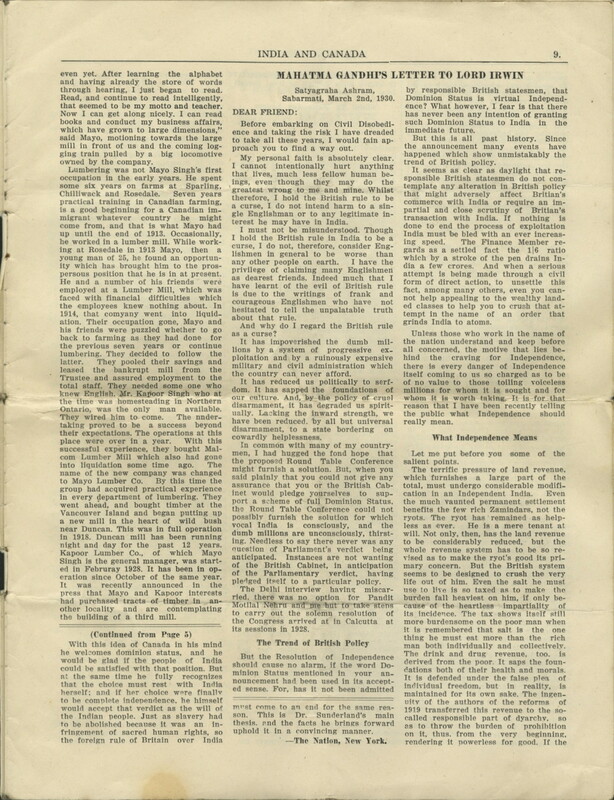 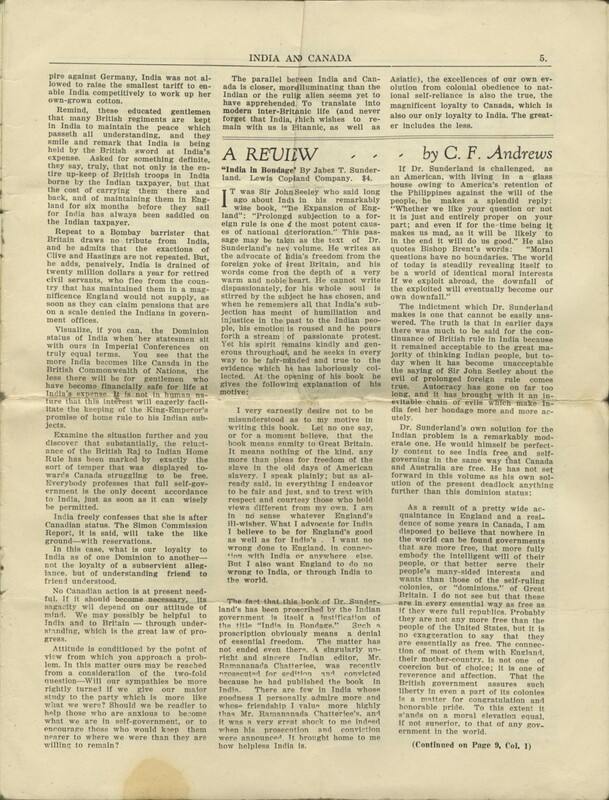 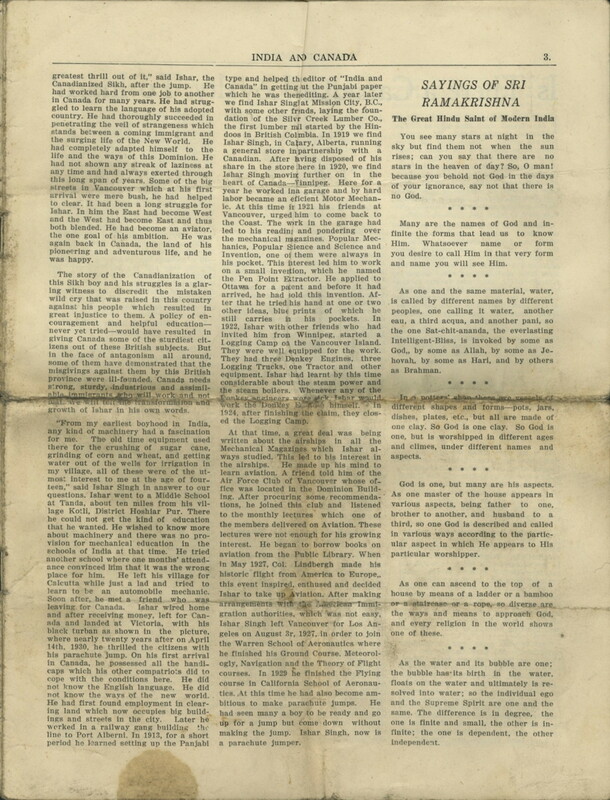 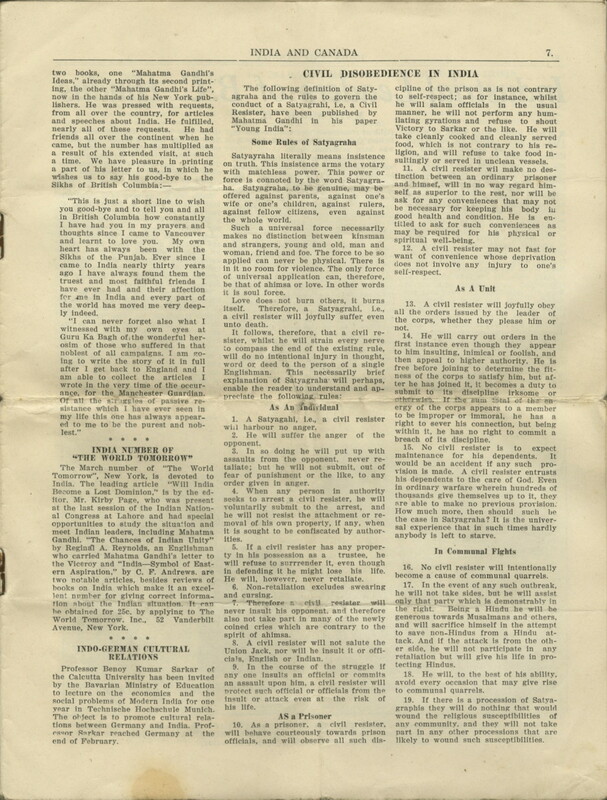 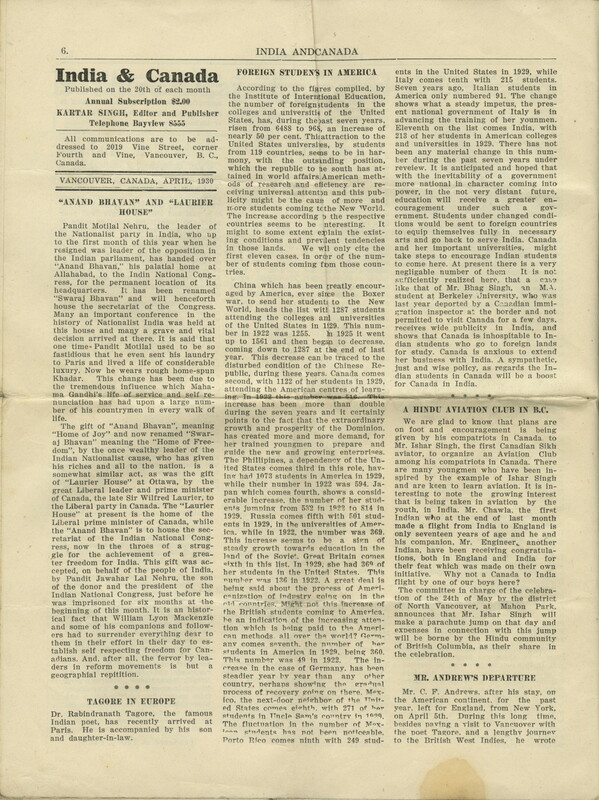 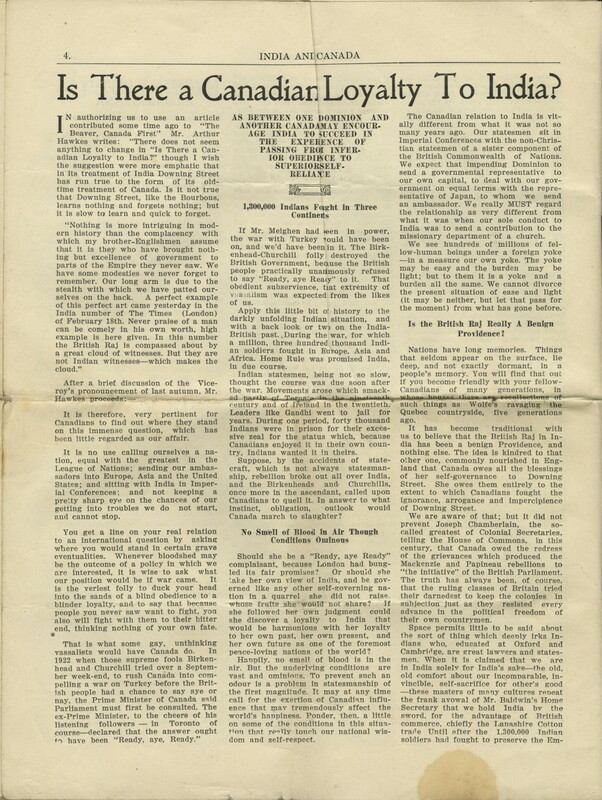 The April 1930 edition of India & Canada, subtitled "A Journal of Interpretation and Information," includes items printed in both English and Punjabi. 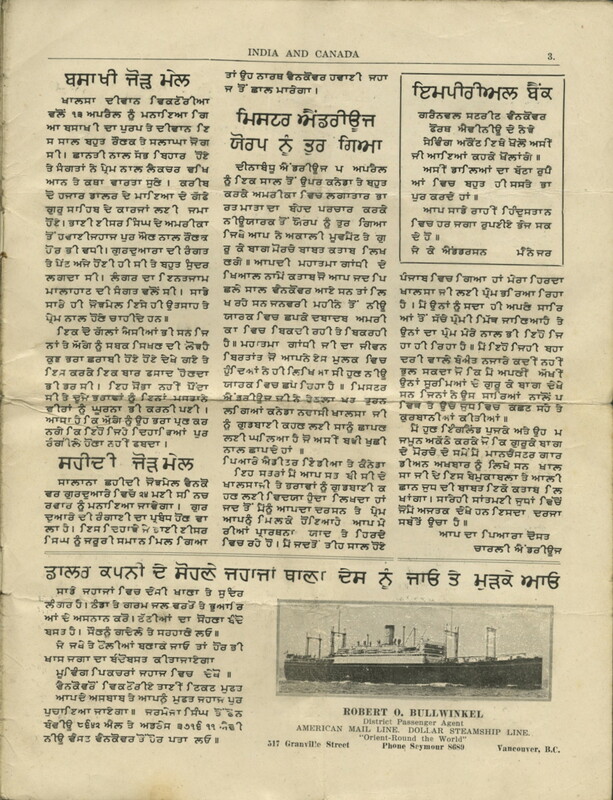 Short news items describe various visiting lecturers and conferences in Canada and India. 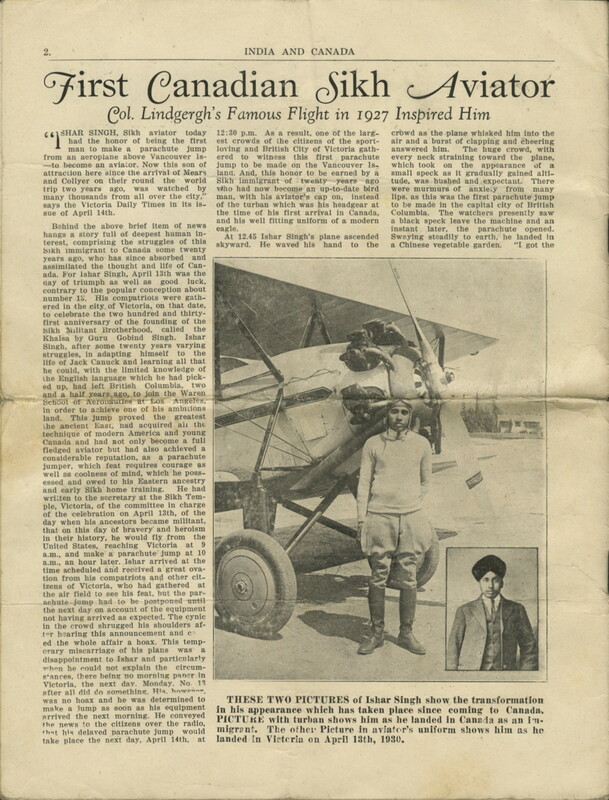 Specific articles include "The First Canadian Sikh Aviator," "Is There a Canadian Loyalty To India?," and "Industrial Leaders of B.C. 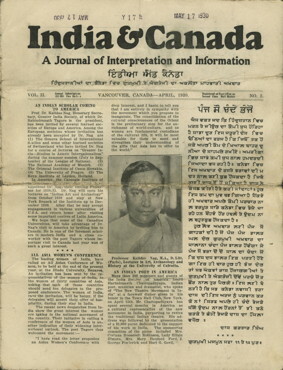 Hindus" by Mayo Singh.